SHAWNEE—The Doug Tolin era ended at Oklahoma Baptist University (OBU) when the long-time men’s basketball coach announced his retirement on May 12. Tolin, who entered the NAIA Hall of Fame Tuesday, March 17, in Kansas City, retires as the all-time leader in OBU men’s basketball wins with 402. 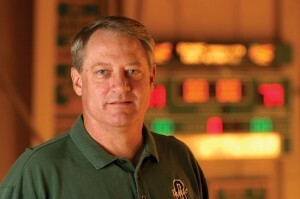 OBU inducted Tolin into its Athletic Hall of Fame in 2011. 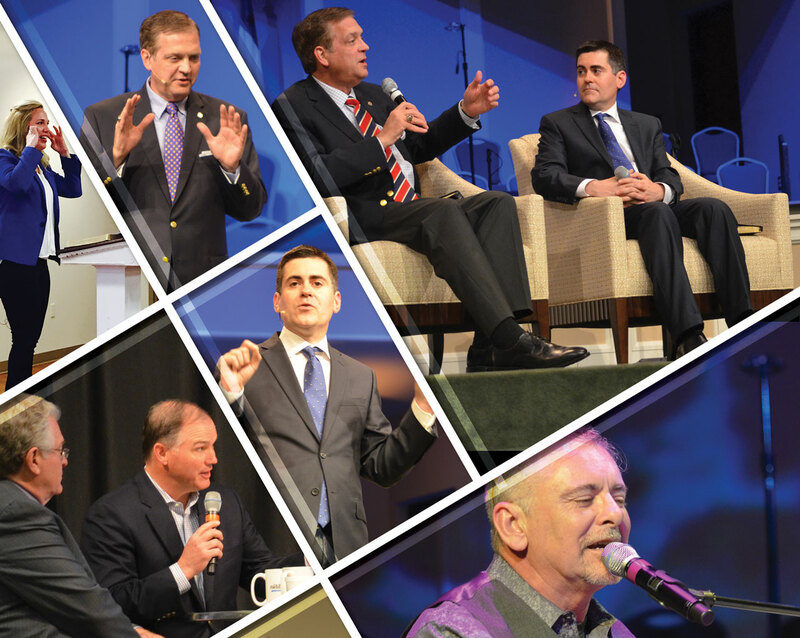 The Oklahoma Basketball Coaches Association Hall of Fame did the same last summer. Tolin, coach at OBU since 2000, led the Bison to 14 consecutive NAIA Tournaments, including the national championship in 2010. His teams have reached at least the quarterfinal round seven times. 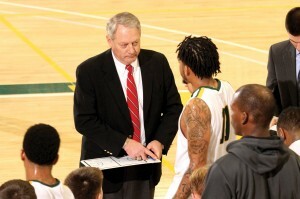 He has led the Bison to the NAIA championship game three times. Voted SAC Coach of the Year in 2002, 2003 and 2012, Tolin was NAIA Coach of the Year in 2010. Tolin led his Bison to three consecutive regular season conference titles from 2002-04 and another three in a row from 2010-2012. In his second season, Tolin took the team to the NAIA championship game before winning it all in 2010. He got the Bison back to the finals in 2012. His 2002 squad reached the NAIA championship game, and his Bison have been in the national semifinals three times. His squads have won at least two games at the NAIA Championships in all but three seasons. Tolin put together six 30-or-more-win teams, with his lowest win total being a pair of 19-win campaigns. Tolin has coached nine All-NAIA Tournament picks, nine first-team All-Americans, a third-team All-American and three NAIA Players of the Year, as well as nine All-America honorable mention selections and 11 NAIA All-America Scholar Athletes. A 1975 graduate of East Central University, Tolin, holds a bachelor’s degree in accounting and a master’s degree in secondary education, also from ECU. He attended high school at Bartlesville Sooner High School, graduating in 1971. He was selected OBCA, Oklahoma Coaches Association and All-City Coach of the Year in 1999 and owns more than 10 other conference, regional and district Coach of the Year awards. He was selected to coach the Faith 7 Game in 1993 and coached the Oklahoma All-Stars to a 108-107 win over Texas. Tolin and his wife, Susan, have three grown children, Christy, Kyle and Keely.